My favorite style is art nouveau. 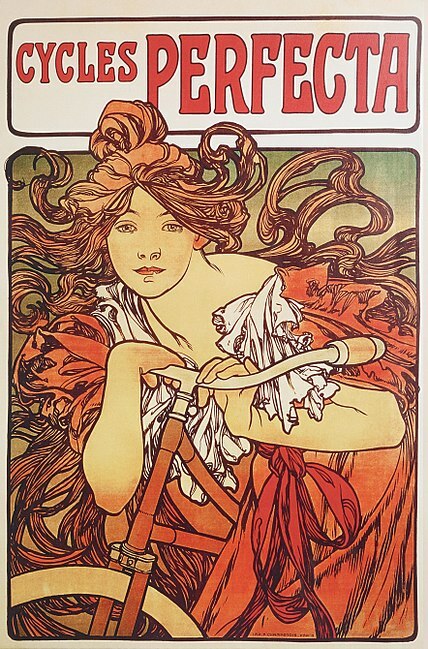 I first learned about art nouveau when I was living in Prague. 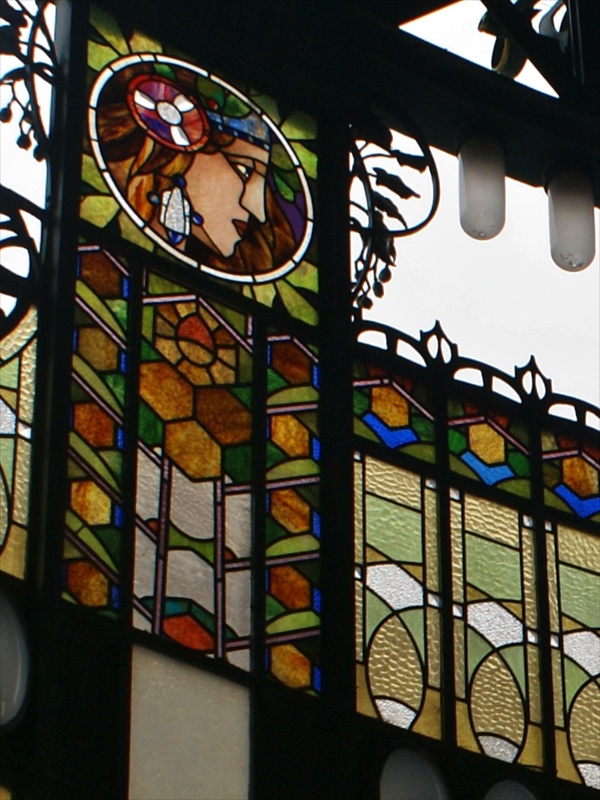 The works of Alphonse Mucha, a prominent Czech art nouveau artist, remain throughout the city. There is a museum of his various prints and a few paintings, that explains the motivation behind his work. The municipal house (Obecní dům) is in the art nouveau style, with stained glass windows done by Mucha. 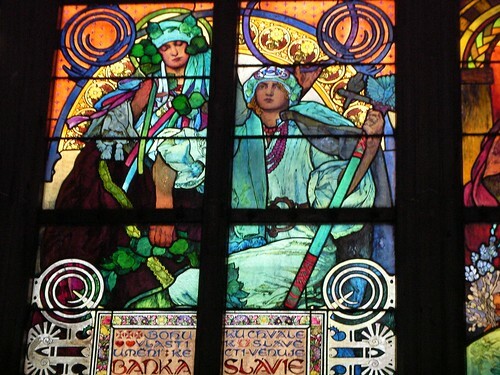 The Prague castle also has a stained glass work by Mucha, among its many others. Mucha often depicted images of slavic nationalism and women with slavic features. Mucha’s interest in the slavic and czech identity, and his works on this identity, make learning about him an interesting way to learn about Czech history. 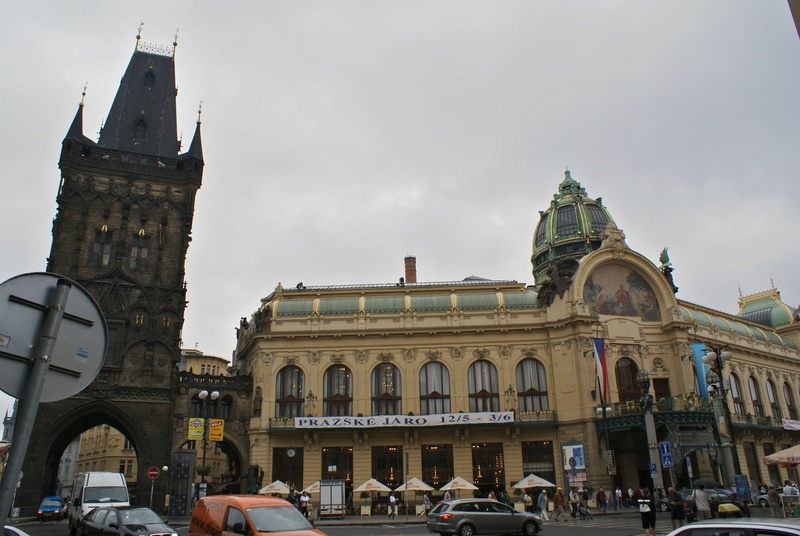 Thumbnails above, from left: Mucha stained glass at the Municipal House, the Municipal House and the Powder Tower, and Mucha stained glass at Prague Castle. Besides the locations in Prague, I’ve visited several other Art Nouveau, Art Deco, and Bauhaus collections. The Bröhan museum in west Berlin and the Horta museum in Brussels are both great. You can also sometimes find museum collections online, like the Virginia Museum of Fine Arts. This entry was posted in Style and tagged alphonse mucha, art, art deco, art nouveau, arts, czech republic, design, mucha, prague, prague castle, slav, slavic, stained glass windows, style on November 14, 2012 by Vironevaeh. Pingback: Art nouveau | One quality, the finest. Pingback: Donner un nouveau look à | One quality, the finest.